‘Print Run’ is a play-as-you-print game for Berg‘s Little Printer created by The Lab at Imagination. Print Run uses Little Printer’s window (usually reserved for the face) as an interface the for the game. 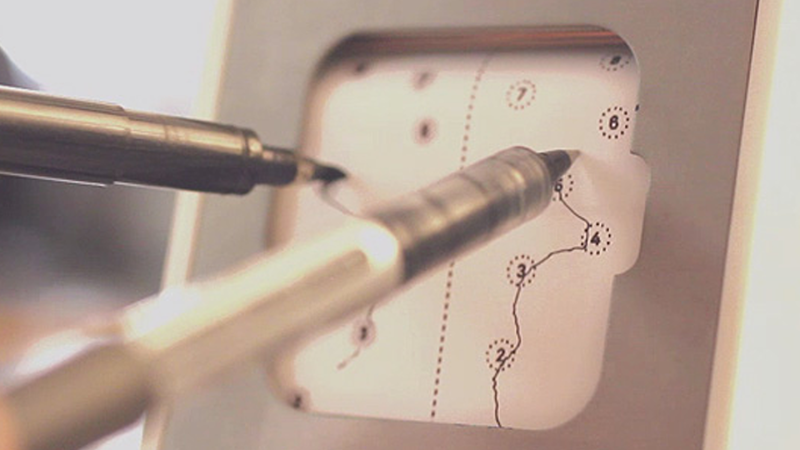 Players must trace a line from start to finish using a pen or pencil, avoiding the obstacles as they are printed. The player who touches the least obstacles is the winner. The game utilises the thermal printer’s varying print speed depending on how much black is in the print. The game starts easy (slow) and gets progressively harder (faster) to the end.